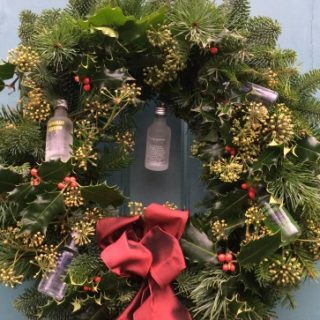 A personalised wreath makes an excellent Christmas present for a friend or end of term gift for a teacher. 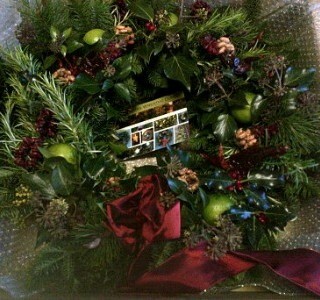 A message card is included, and available in Large and Grande sizes. 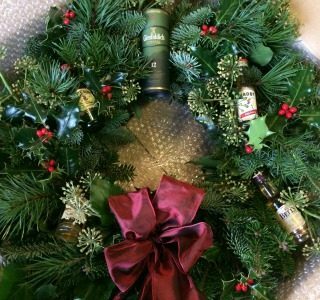 Our most popular personalised wreaths use miniatures wired among the greenery. 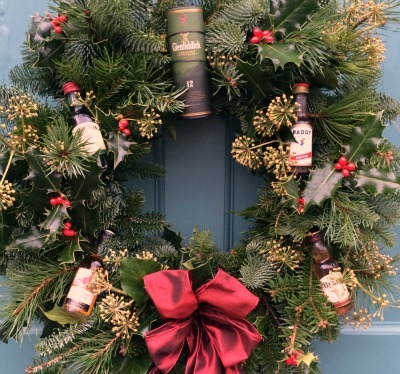 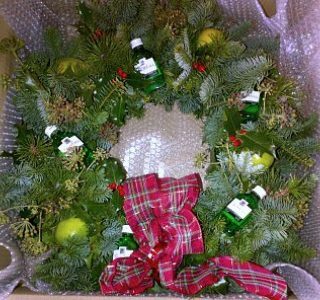 In the past we have done several cooks’ wreaths, several Gin and Tonic wreaths using fresh limes, a whisky lover’s wreath with different miniatures, an Absolut vodka selection wreath, an Australian themed wreath and many more! 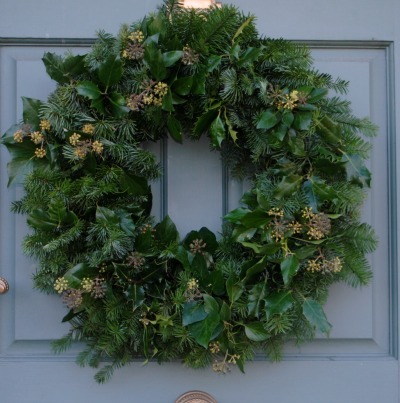 Please email or call us to tell us what you’d like. 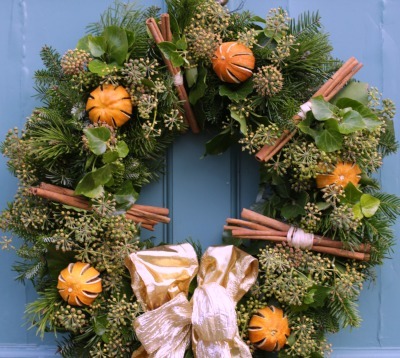 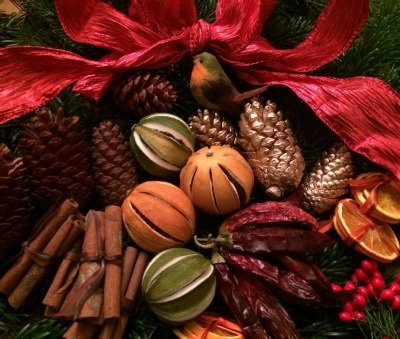 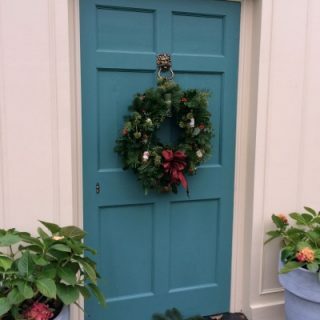 Be the first to review “Personalise your wreath” Click here to cancel reply.